Decentralized energy supply platform which helps households and businesses to acquire energy directly from Hyperion Foundation`s affiliated and non-affiliated partners at fixed prices. 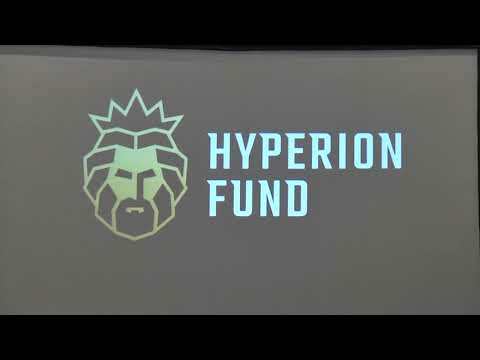 Obligations of Hyperion Foundation are backed by Hyperion Assets Management OÜ, a solar power investment company that finances and manages construction of solar production facilities around the world, with a particular focus on high-return emerging markets. A couple of years ago I recognised that the climate problem we are facing today is not just something you hear about on the news. It is real – the temperature is rising, CO2 levels are at their highest level in the last 800,000 years and our planet will not be able to endure for much longer. Humanity needs real motivation to effect real change. Throughout history, the best motivation has always been money. That is why Paris Climate Agreement commission has revitalized Power Purchase Agreements (PPAs). These are contracts between the government and the owner of a power plant, which provide the owner with constant cash flow for 20 years at a fixed tariff – for 100% of the energy produced. This gives Construction Company unique highyield opportunity to have up to 30% equity-based IRR and low risks of governmental bonds. Using this business model 390 GW were constructed around the world. And they have only one major problem – liquidity. Our business model is based on the opportunities this market can offer and is split into two parts: SPPs Construction and Energy Marketplace. The Construction part is very plain. Even though solar is the most accessible and cheapest renewable resource; its minimal reasonable CAPEX is $5 million, which creates barriers to entry for minor investors. We will collect small investments and use them to construct plants for you. Then we will refinance these plants thanks to the difference between the real yield of 30% and the fair capital rate of 10%. After refinancing we will have enough money to build a plant with lager capacity. Doing so constantly, we can exponentially increase our capacity. And this is where the second part of our business model comes into play – the Energy Marketplace. The Energy Marketplace is a space where every SPP owner can put a constructed power plant with constant approved cash flow and issue forward contracts for kWh with a fixed tariff. Hyperion Fund takes a 1% commission of all transactions and reinvests it to construct new plants, which will then also be refinanced. The overall solar market is more than $1 trillion and at least 30% of it needs to be refinanced. Based on this idea we developed a concept of Hyperion Token (HWT), which is tied to overall capacity. At issuance 1 HWT is backed by 1W capacity. As a result of SPPs Construction and Marketplace development in a five-year period our overall capacity may grow up to 5.9GW with 1HWT being backed by up to 38,7W. At that moment we will start to distribute Hyperion Coins to all our tokenholders. 1 Hyperion Coin is equal to 1 kWh. Token-holders can redeem these Coins to receive energy. If a token holder redeems Hyperion Coins and requests energy that we are unable to deliver, or token holder refused to obtain energy, he or she will receive an assurance payment from the Hyperion Foundation Buyer Assurance Pool for the value of the Hyperion Coins. We have developed a strong basement on which to build our project: combining advantages of Construction and Marketplace significantly contributes to Hyperion Fund and makes it sustained and fast growing. I’m the founder of Hyperion and I have built up a team of world-class professionals who have helped to bring ideas to life: Greg Thain has 20 years of business experience and he is responsible for coordinating investment and working with the banks. Noel Shannon has constructed over 200 MW all around the world and he controls construction part of the project. Igor Akhmerov is responsible for the financial marketplace part. He has constructed more than 500 MW and is a real expert in refinancing Solar plants. Andrey Petrov has is huge business experience and is focused on Government Relations necessary for implementation of our construction projects. We have spent last year working hard to set up a strong and attractive portfolio. Collecting it we have managed to strike an ideal balance between emerging markets, which provide extremely high returns, and conservative Europe, which provides high and reliable yield. Join us and remember that Hyperion Fund offers the most efficient way to save the planet. Good idea, but currently there is not enough information available. There isn't a detailed whitepaper, but just a small lightpaper. The website seems well made and graphically good. I think that Blockchain will bring innovation in this area. The team is really small, only 4 members. It should be very enlarged. But the advisors are good. research, conclusion of preliminary agreements. ICO day 80: 1HWT = $0.84.